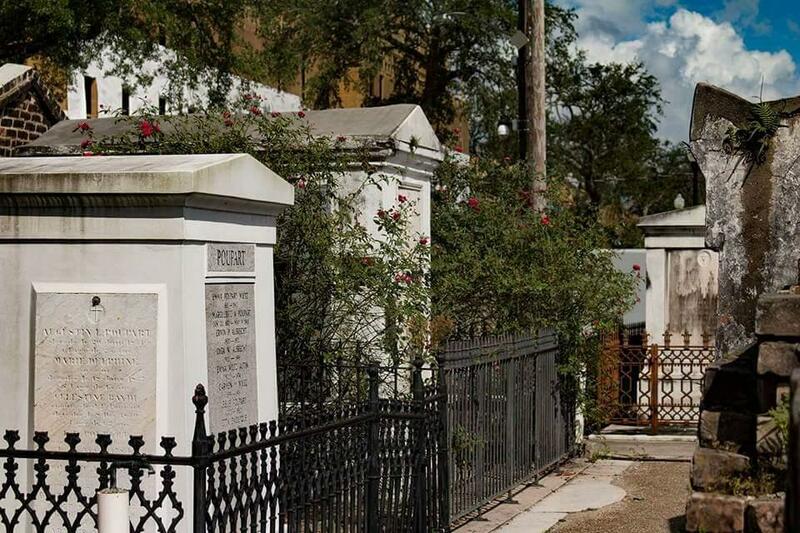 Tourists have been banned from entering the historical St Louis Cemetery Number 1 unless they are with an official tour guide. There are plenty of operators within the city so there is something to suit all budgets and interests. A gentle 10-15 minute walk from Bourbon Street, we met our tour guide outside of Arrow Coffee before taking the last walk to the St Louis Cemetery Number 1 together. We used the Two Chicks Walking Tour and our impressively knowledgeable guide for the day was Robert. Having dressed for the hot humid weather, we thought we were set and almost giggled when we saw Robert arrive with an umbrella on a crystal clear sunny day……. Little did we know we were the fools! 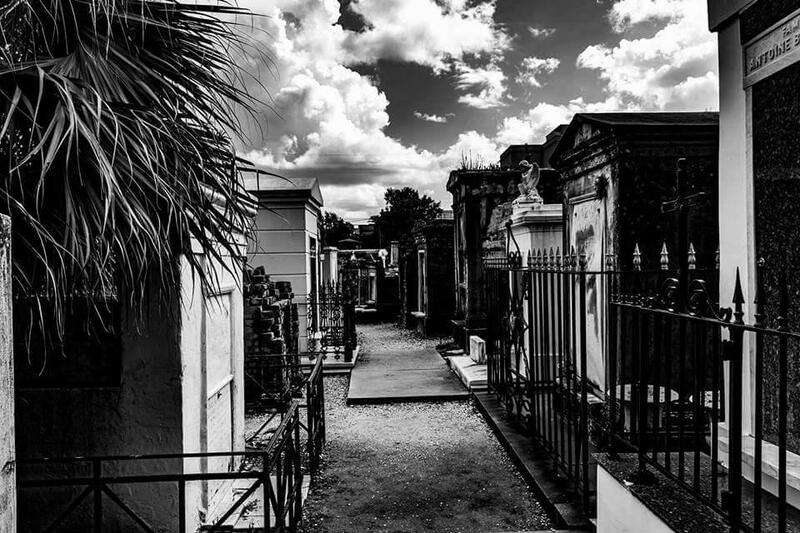 Once you enter St Louis Cemetery Number 1 you can feel the temperature sky rocket. With little to no shade and the crisp white walls, we suddenly understood why Robert was carrying an umbrella – he really was the expert! As the temperature does rise inside, this is used to the benefit of the cemetery as it helps “move the bodies along” and allow more bodies to be added to family crypts as the cremated ashes are pushed in to a reserve inside. Something we definitely didn’t expect, in an above ground burial site. I’ll keep details of the tour content to a minimum as I don’t want to spoil it for you. 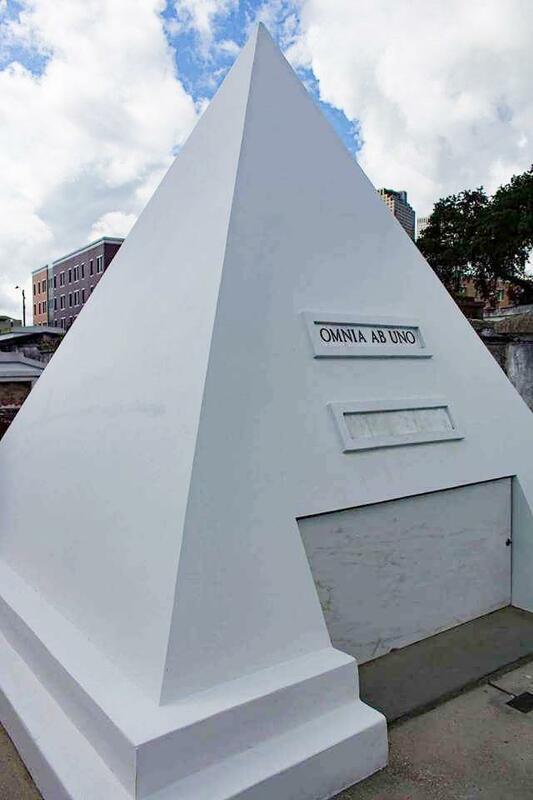 St Louis Cemetery Number 1 is both the oldest and most famous burial ground in New Orleans and it’s home to such figures as Marie Laveau, an iconic voodoo queen and even Nicholas Cage has a pyramid shaped plot ready there for when he needs it. Still in use today for burials, the decision to ban tourists wasn’t taken lightly but the fees from organised tours and the decrease in footfall will help to preserve the area for future generations. Barely touched by Hurricane Katrina, you can still see the muddy brown line on some graves from the floor water. 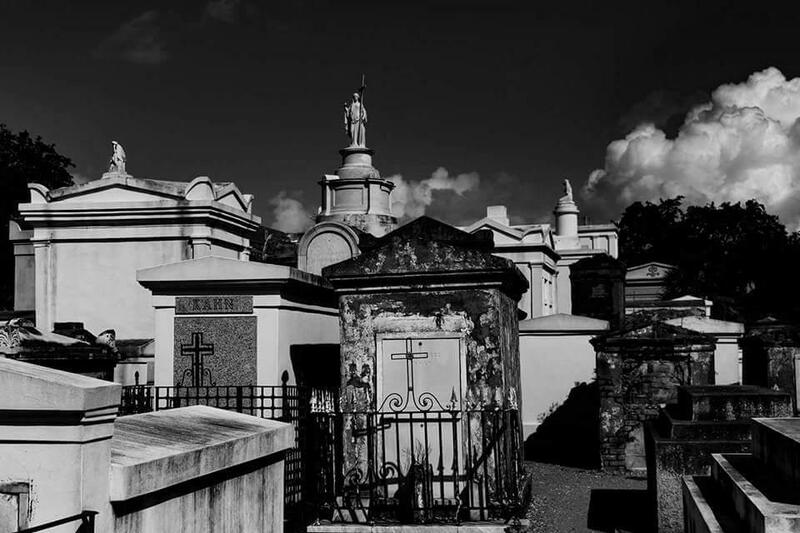 If in-person tours aren’t your thing, you might have spotted St Louis Cemetery Number 1 in both Easy Rider and Cincinnati Kid movies. With an hour long guided tour by Robert, we learned all about the voodoo and creole traditions as well as some of the superstitions around leaving trinkets for luck at graves. Our guided Two Chicks Walking Tour with Robert drew to an end at the adjacent Basin Street Station bus hub. 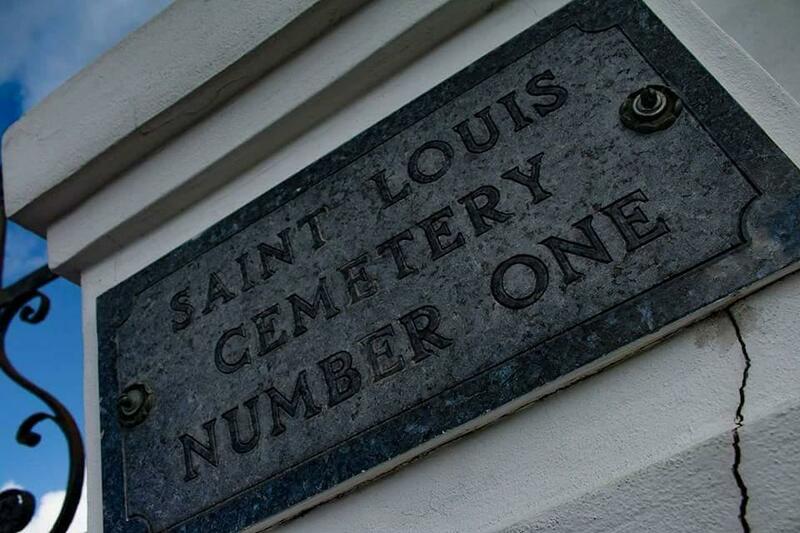 It’s a key point on the Hop On / Hop Off buses so if you have a ticket, it’s even easier to get to St Louis Cemetery Number 1. You can take a look around the visitor centre which is delightfully air conditioned. You’ll need it, trust me. 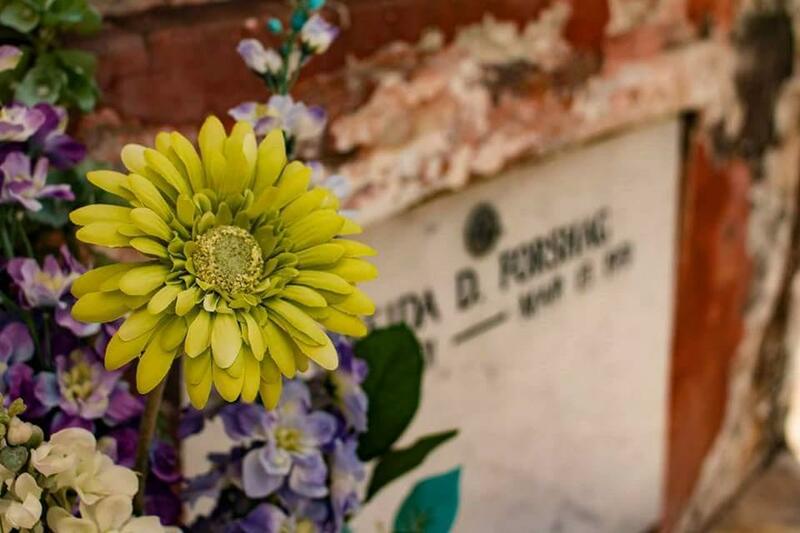 If you can book an early morning tour of St Louis Cemetery Number 1 before the heat of the day, this would be the best option. Be sure to take water with you as there’s nothing to buy once you start your tour and there is little to no shade. An umbrella or parasol wouldn’t be a bad idea. Wear light colours and apply plenty of SPF! 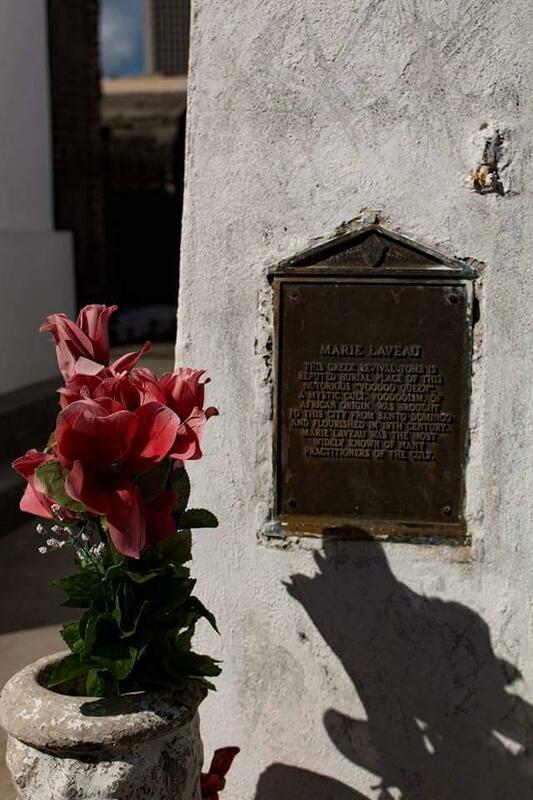 If I could only recommend 1 tour you do while in New Orleans, it’s the St Louis Cemetery Number 1. Be sure to check out Two Chicks Walking Tours and their guide Robert.